A car was driven "at high speed" on De Meir, the northern city's main shopping street, before it was intercepted. There were no reports of any injuries. Knives, a non-lethal gun and some unidentifiable liquid were found in the car, prosecutors say. 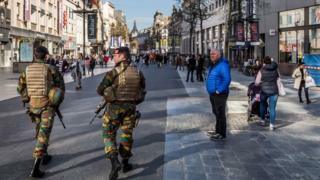 Belgian PM Charles Michel praised the authorities for an "outstanding job". The attack comes a day after a car was driven at high speed along London's Westminster Bridge, hitting many people, before the driver got out and entered the grounds of Parliament. He was killed after fatally stabbing a police officer there. Three other people died and 40 were injured in the attack. It was also the day Belgium marked the first anniversary of the twin bomb attacks in Brussels, that killed 32 people and wounded more than 300. 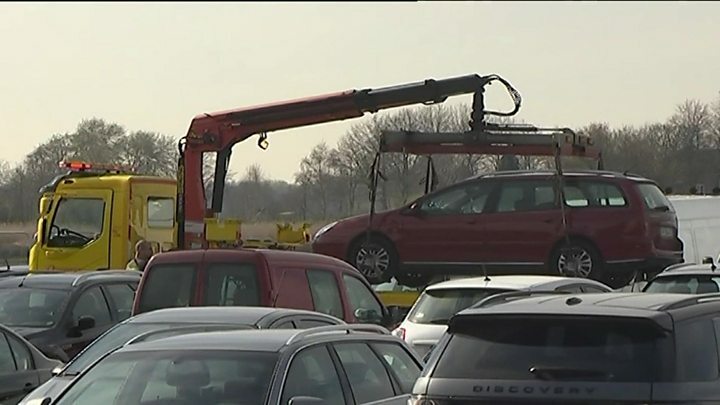 The car was spotted at around 11:00 (10:00 GMT), Antwerp police chief Serge Muyters said. "The vehicle was driving at high speed on De Meir," he said. "Our army colleagues spotted it and tried to bring the vehicle to a halt. "But the driver broke free and drove through the red light towards the port quays." Police were contacted, he said, and immediately sent a rapid response team, intercepting the vehicle and driver. "The suspect, a man of North African origin, was immediately arrested," he said. The federal prosecutor's office, which has taken over the investigation, named the suspect as "Mohamed R", a 39-year-old French national and resident of France. "Different arms were found in the boot - bladed weapons, a riot gun and a container of liquid that is still unidentifiable," the prosecutor's statement also said. An army bomb disposal unit was sent to the scene to inspect the vehicle. 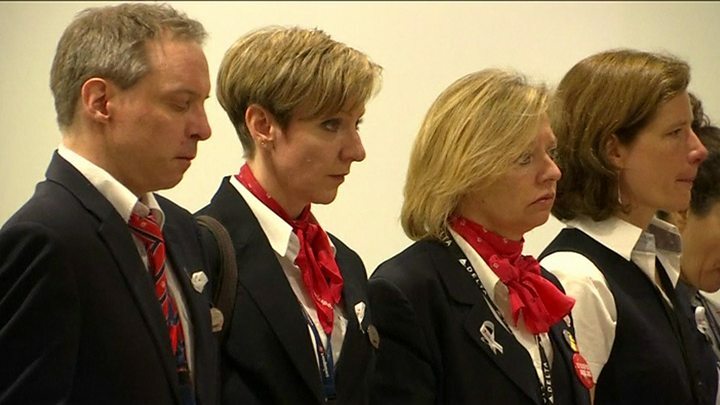 The Belgian royal family were among those who joined a minute's silence at Zaventem airport and Maelbeek underground station in Brussels on Wednesday. They were remembering those who were caught up in the suicide bombings at the two sites on 22 March 2016 - the worst such attack on Belgian soil. Three suicide bombers also died. Several other men, some identified on CCTV as having been accomplices of the attackers, were subsequently arrested. The gang was linked to those who carried out gun and bomb in the French capital, Paris, in November 2015 in which 130 people were killed.